At this point, many would have seen the video circulating around where Malaysians referred to their Singaporean competitors as “dogs” but that was not the only mistake they made. 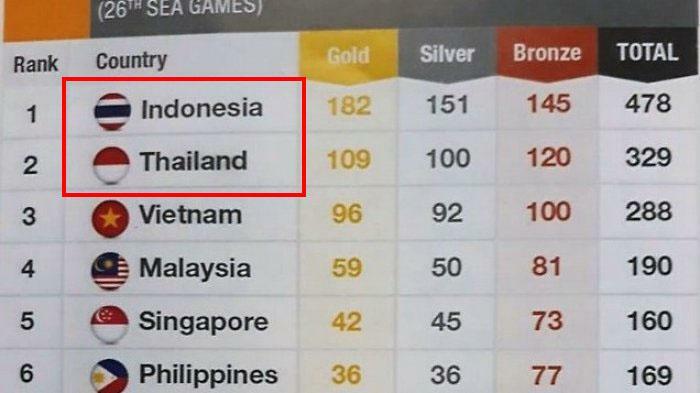 Netizens have kept tabs and uncovered multiple flag errors throughout the Southeast Asian (SEA) Games, causing an uproar across citizens from neighbouring countries. 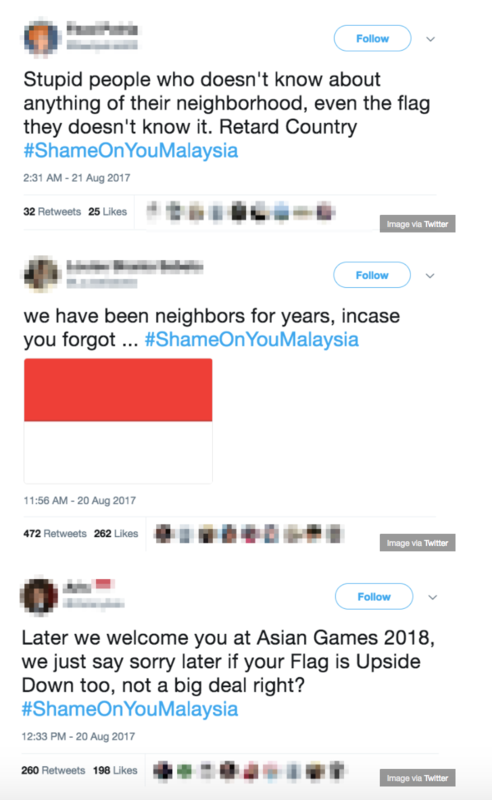 Indonesian Youth and Sports Minister Imam Nahrawi tweeted and expressed regret that the opening ceremony of the Kuala Lumpur SEA Games 2017 (KL2017) on Saturday, 19 August, was spoiled by a “fatal negligence” when the error in print made the Indonesian flag look like Poland’s flag on page 80 of a souvenir booklet for the Games. Indonesia’s flag got printed upside down again in Malaysia’s daily newspaper as well. 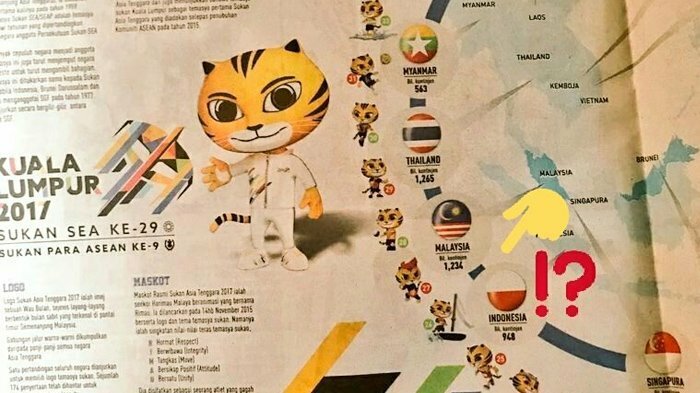 The article depicted a map of the ASEAN region with flags of countries participating in the SEA Games, with the only error being the flag of Indonesia. CNNIndonesia.com reported that the daily has been identified as Metro Ahad. Two mistakes weren’t enough, they did it again. 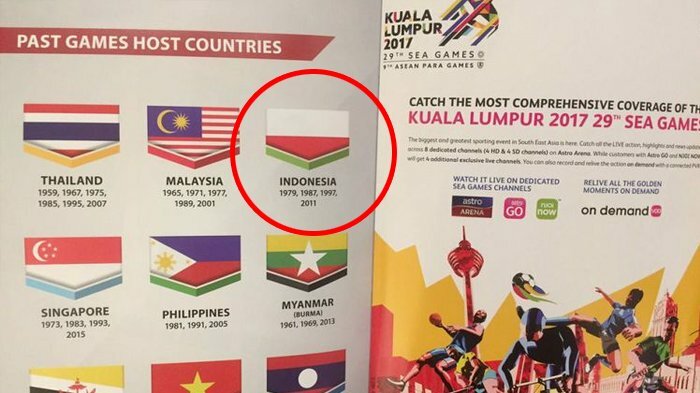 A netizen spotted that Indonesia and Thailand’s national flag were swapped around on page 40 of the same souvenir booklet. 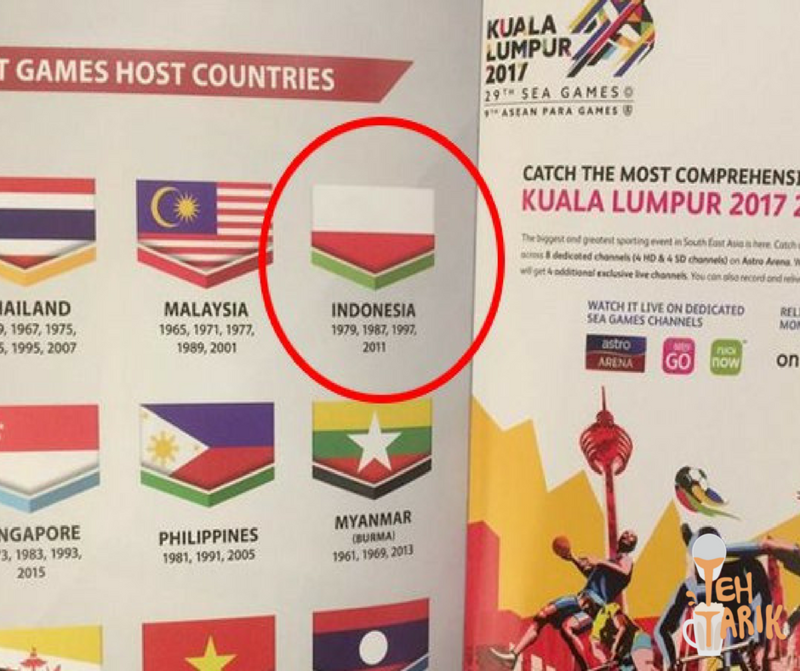 It was supposed to list the overall champion for the 2011 SEA Games but Indonesia, who was the champion, and Thailand, who came in second, had their flags swapped around. 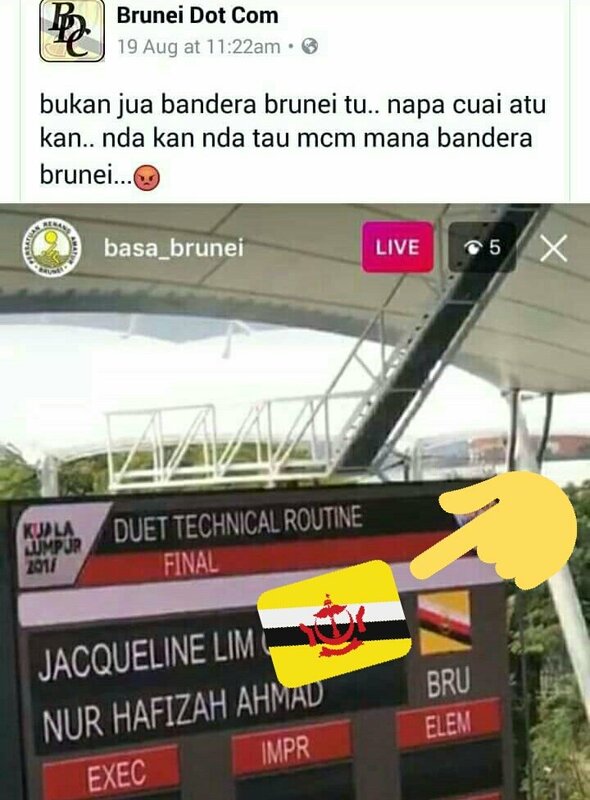 Clearly, Malaysia’s SEA Games management team are getting a lot of backlash because they made an error on Brunei’s flag as well. The wrong flag of Brunei was shown on a digital board during the synchronised swimming duet event. Instead of Brunei’s national flag, they used the Brunei Armed Forces Flag. They may look similar but there is an extra red stripe running diagonally across the centre and the crests are different. The errors angered Indonesians so much so that they took it to the Internet and trended #ShameOnYouMalaysia. It doesn’t hurt to check more thoroughly next time, Malaysia.